If you’re looking for a charming and ultra fun way to help your child countdown the days until Christmas than this festive Maileg Pixy Advent room is perfect. The tiny bedroom, made of solid wood, is where the little holiday pixy sleeps on a pile of soft mattresses during the day. Then at night, during each day of December, he sneaks out to jot down the new day’s date on the chalkboard closet door. If your child is super lucky, maybe the little pixy doll even hides a sweet little advent gift in the closet, then he sneaks back to bed like he was never there. The kid-friendly holiday video above shows just how sneaky (but sweet) this little pixy is. Designed in Denmark with simple, yet sophisticated style and heirloom quality, this Advent set will be enjoyed by your child for many years to come. Plus, as My Sweet Muffin points out, “Scandinavian tradition has it that Pixies are a helpful household fairy and bring good luck to the home.” The Maileg Pixy Room Holiday Countdown set comes with five soft mattresses, a pillow, a duvet, a piece of chalk and a pixy doll wearing pajamas. The room itself includes a roomy closet with a chalkboard door and two drawers. Due to smaller parts, this small holiday room is appropriate for children three years of age and older. If you're looking for a charming and ultra fun way to help your child countdown the days until Christmas than this festive Maileg Pixy Advent room is perfect. 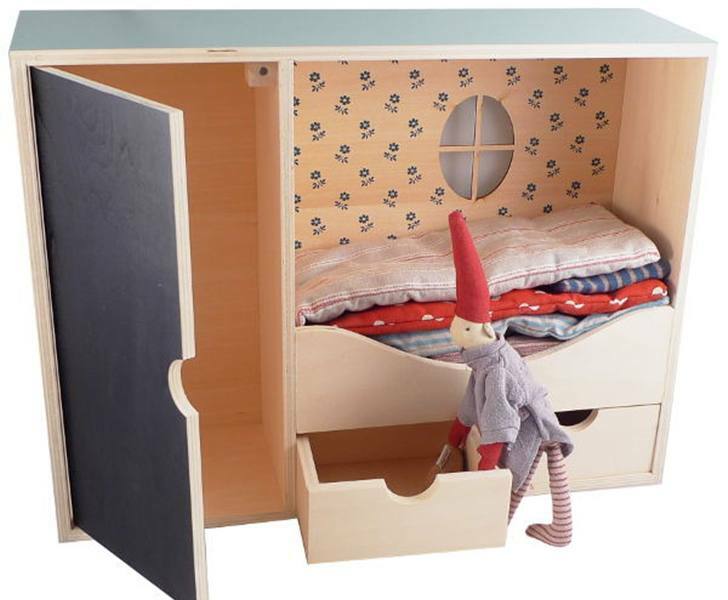 The tiny bedroom, made of solid wood, is where the little holiday pixy sleeps on a pile of�soft mattresses during the day. Then at night, during each day of December, he sneaks out to jot down the new day's date on the chalkboard closet door. If your child is super lucky, maybe the little pixy doll even hides a sweet little advent gift in the closet, then he sneaks back to bed like he was never there.